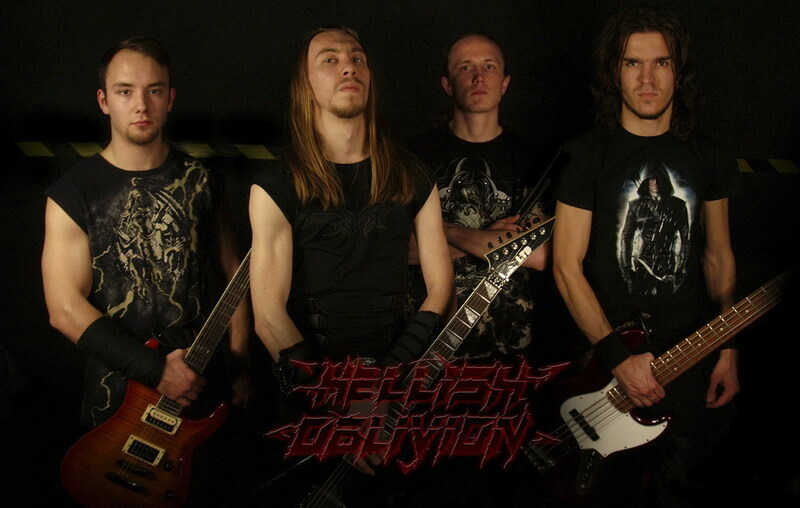 HELLISH OBLIVION is formed in Astrakhan back in 2009 by Tyroth (guitar) and Loki (vocals) as a black metal band with two free vocalists doing different types of extreme vocals. The first line-up also features Vany Evil (vocals), Pifon (guitar), Mardoom (bass) and AVC (drums). Following two local shows HELLISH OBLIVION commence the work on a debut album. Soon both vocalists quit the band and Lex Angry joins HELLISH OBLIVION as a guitarist. The debut album �9 Circuum Mortis� (2011) is recorded with Tyroth on vocals. Following the release of �9 Circuum Mortis� HELLISH OBLIVION participates in �Blood Summer Fest�. After a while Lex Angry and AVC leave the band. The rest members continue composing material for the second album and recording songs in the home studio, occasionally playing shows with session musicians. The second album �Your Main To Live� is released in 2012. The material sounds more like Blackened Death Metal. The album gets positive response in the underground and many excellent reviews. In 2013 HELLISH OBLIVION, finally, completes the line-up with Sinister (guitars) and Tepes (drums) both featured in �Inner Price� promo video. While the work on new material is in progress Tepes suddenly quits the band. He is replaced by Merkul, who participates in recording of �Human Grain� EP (2014) with experimental industrial inserts. The EP gets quite a positive response, and HELLISH OBLIVION decides to continue the experiments with Industrial Death Metal. In winter of 2015 the band plays with ATRA HORA, MUTILATOR, BRAINTEASERS, ZOEBEAST, DISSOCIATIVE DISORDER and INDETERMINABLE at the presentation of the second RuDM compilation. Following this show HELLISH OBLIVION takes a year-long break in live activity (with one exception for a local summer festival in 2015) in favor of the new album. �Pyrodigma� is released in April 2016 by More Hate Prod. Distribution of the album is powered by FONO LTD.